A 3-in-1 jacket with an integrated insulated jacket filled with warm synthetic insulation that is perfect for all sorts of outdoor activities: the North Fjord Jacket from Jack Wolfskin! 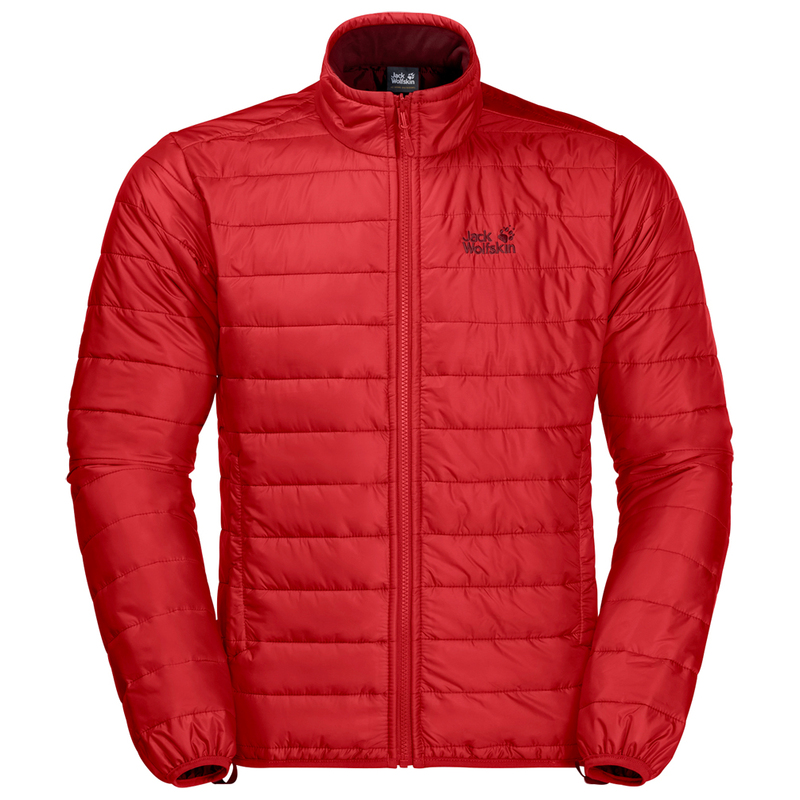 The removable inner jacket is filled with Jack Wolfskin's very own Microguard insulation and can be worn on its own or in combination with the outer jacket. The windproof outer fabric used for the inner jacket makes it perfect for hill walking in colder weather. 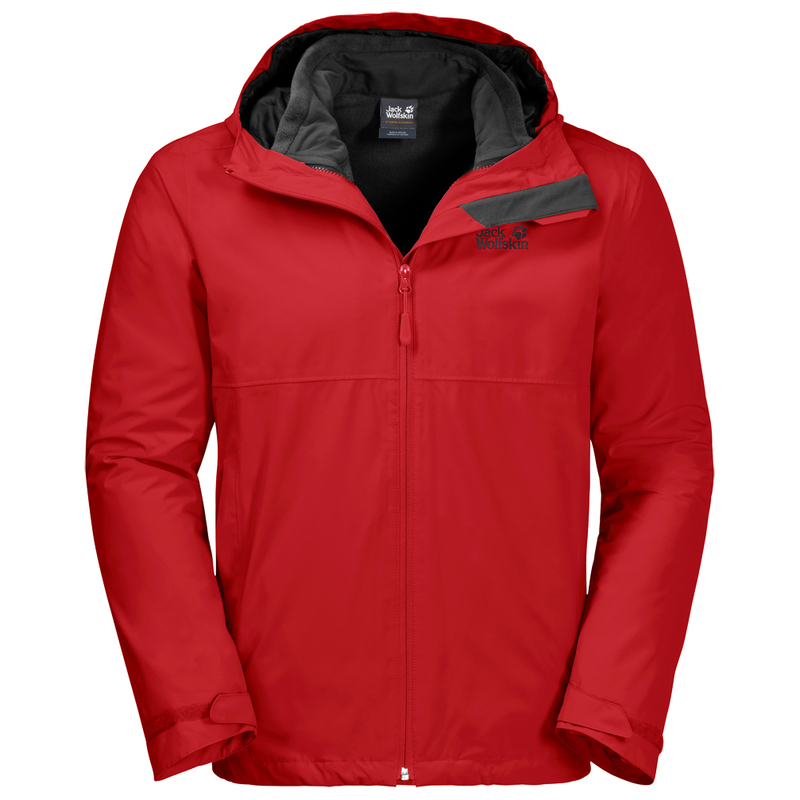 The breathable, windproof and waterproof outer jacket made of two-layer Texapore fabric protects the insulation from water. All zips are water repellent. The comfy hood can be adjusted to your head at any time using the drawstrings or even completely removed if the weather allows for it. 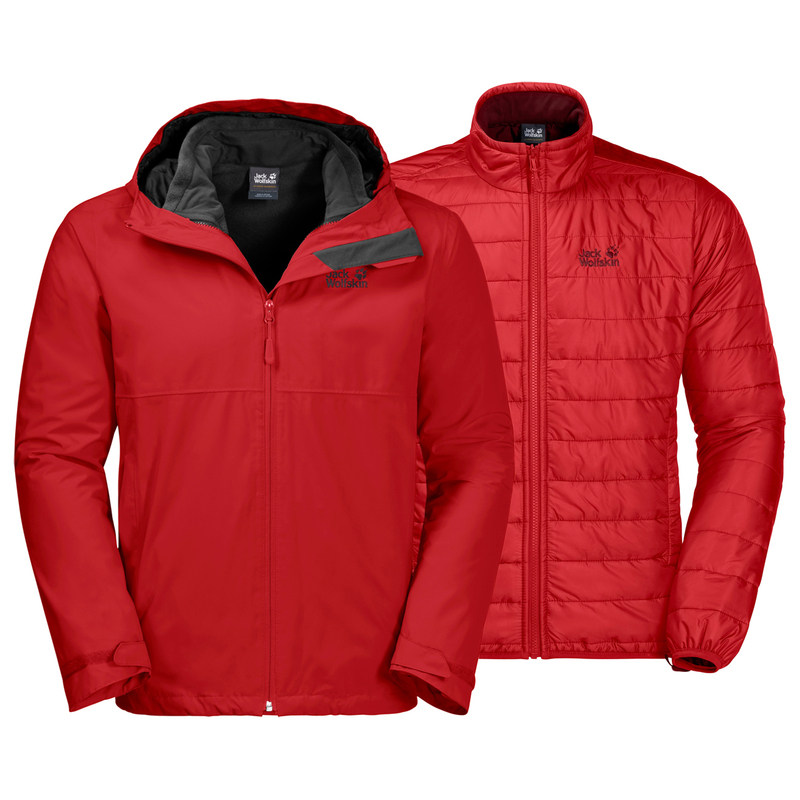 Regardless of whether you're skiing, hill walking or wearing it casually, the North Fjord 3-in-1 jacket from Jack Wolfskin will give you the warmth and comfort you need.